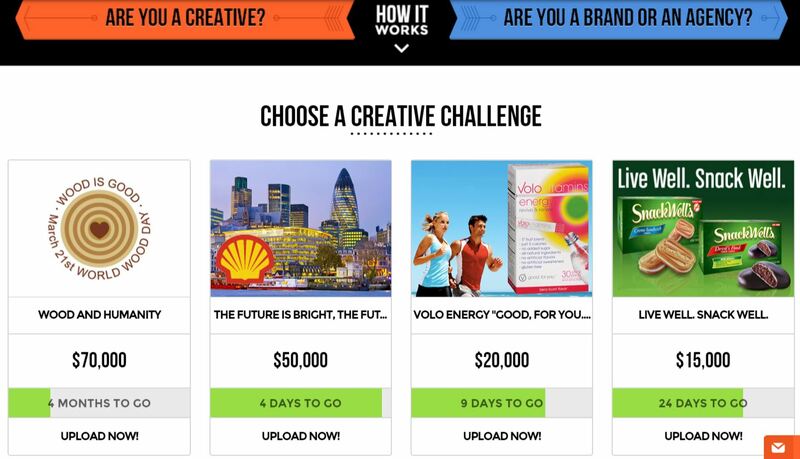 Crowdsourcing ad campaigns – the future of advertising? With massive amounts of information available online, consumers are increasingly better informed about companies and their offerings (1). These advances increase the bargaining power of consumers and show how focus has shifted from the company towards the consumer (2). The process of advertising and content creation is thus changing. Agency-created advertising is not expected to disappear, but nowadays the demand for continually-refreshed materials is growing rapidly. By crowdsourcing new content, brands can use passion and insights from consumers and provide authentic marketing communications (3). The number of platforms where companies can run open pitches for their advertising has rapidly grown and the European Commission (1) expects the volume to grow to €5.5 billion in 2015. An example is the social crowdsourcing platform Zooppa, which allows for brands and agencies to place advertising contests in order to generate advertising campaigns. It offers ‘a cost-effective, strategic approach to engage consumers, build online word-of-mouth and gain customer insights’ (4). The company states that its main challenge is to open the minds of the industry towards these new ways of working and acquiring content, instead of building on an reusing one ‘hero’ tv ad (3). For each contest, a creative brief is provided. By submitting designs for video, print, concepts, audio or banner advertising, over 300,000 active members (5), both professionals and amateurs, compete for money and other prizes. Users can vote and comment on submissions of others. This peer feedback plays an important role, since it can facilitate additional learning opportunities, but also provides social value and recognition to users (Franke, Keinz & Schreier, 6). By participating in Zooppa contests, users can grow their portfolio and have it seen by millions (7). The company does not pre-select contributors based on their qualifications or context specific as described by Geiger et al. (10). Contibutors only have to register and complete a personal profile (Facebook account or e-mail address). The quality of submissions can be controlled in various ways (8). Zooppa uses e.g. specific terms and conditions regarding ownership of submitted materials and peer evaluation of content. For each competition both Jury awards (assigned by clients) and Community awards (based on community votes) are handed out. Providing several prizes (monetary prizes as well as awards) is described (8) as the best way to target asymmetrically skilled individuals (professionals as well as amateurs). This way, participation from weaker players increases, and competition and effort by strong players increases as well (Sisak, 9). Remuneration is probably a major reason for creatives contributing to Zooppa. But also intrinsic motivations such as glory and love (Zooppa displays ‘featured members’ on the homepage with a picture, the projects they contributed to and how much money they won) (8) can be reasons for contribution. A successful example is the sustainability campaign of Siemens. ‘By crowdsourcing video stories Siemens obtained hundreds of unique, authentic content pieces used across channels, all at less than the cost of producing one average TV commercial’ (3). An example of a smaller brand is Mike’s Hard Lemonade Company, which posted contests to obtain can designs and names for new flavors. The winning designs were voted for by consumers (11) and the company included the names of the winners on the cans (3) to build engagement. Concluding, the Zooppa platform sounds like an ideal way for companies to crowdsource their advertising campaigns. However, it remains unclear how many professionals vs amateurs submit ideas and whether the resulting winning ads are truly user-generated (as the company repeatedly states). (6) Franke, Keinz & Schreier (2008). Complementing Mass Customization Tookits with User Communities: How Peer Input Improves Customer Self-Design. Journal of product innovation management. (8) Tsekouras, D. (2015). Session 3 Ideas & Designs. Customer Centric Digital Commerce. (9) Sisak, D. (2008). Multiple-prize contests – the optimal allocation of prizes. Journal of Economic Surveys. (10) Geiger, D., Seedorf, S., Schulze, T., Nickerson, R.C., Schader, M. (2011). Managing the Crowd: Towards a Taxonomy of Crowdsourcing Processes. (2011). AMCIS 2011 Proceedings – All Submissions. Paper 430.